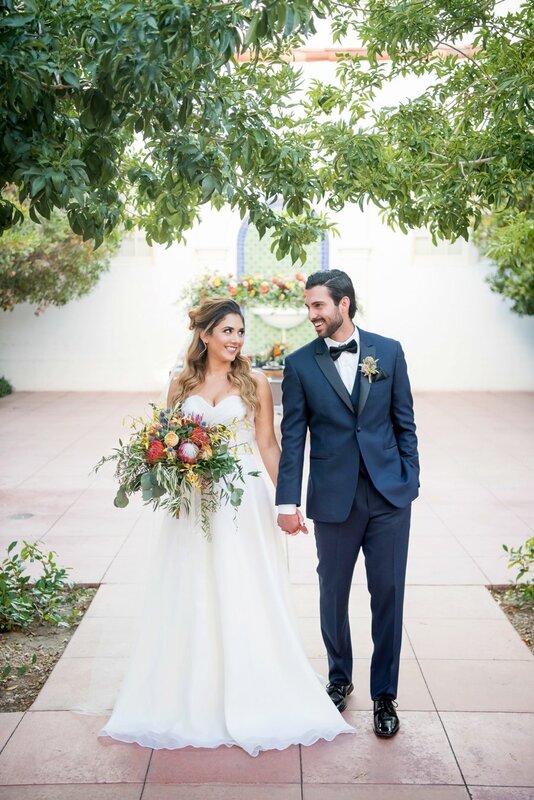 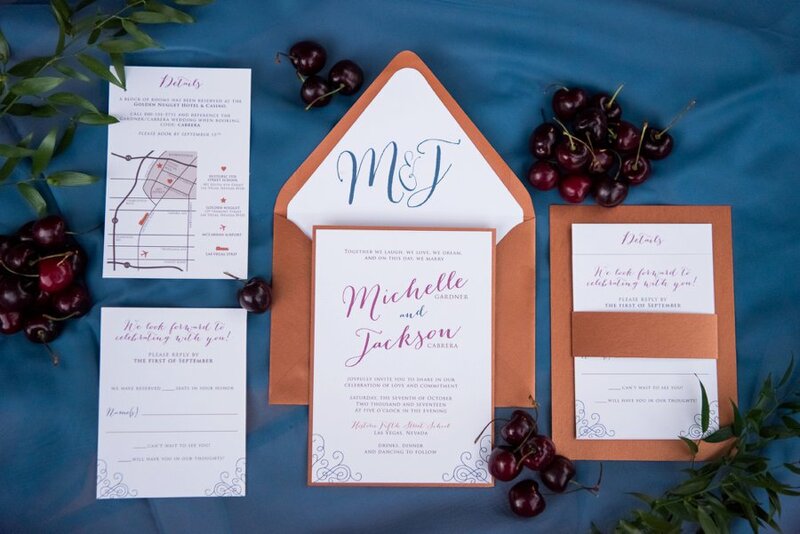 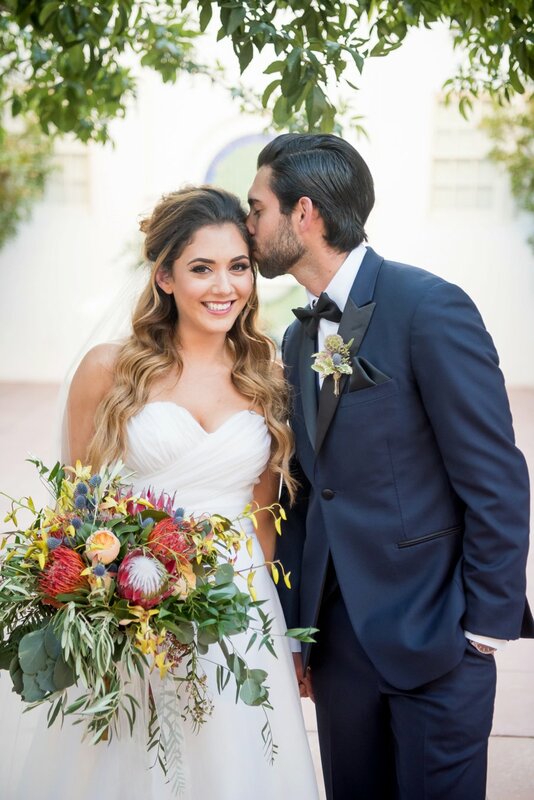 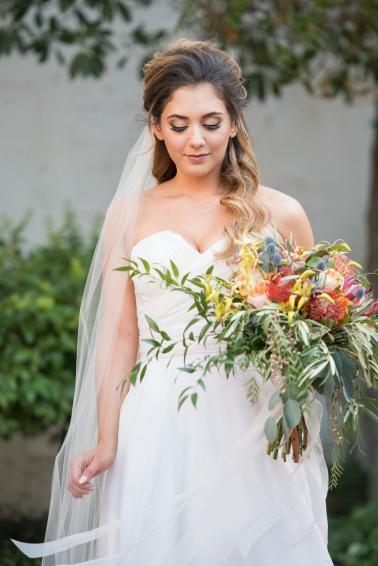 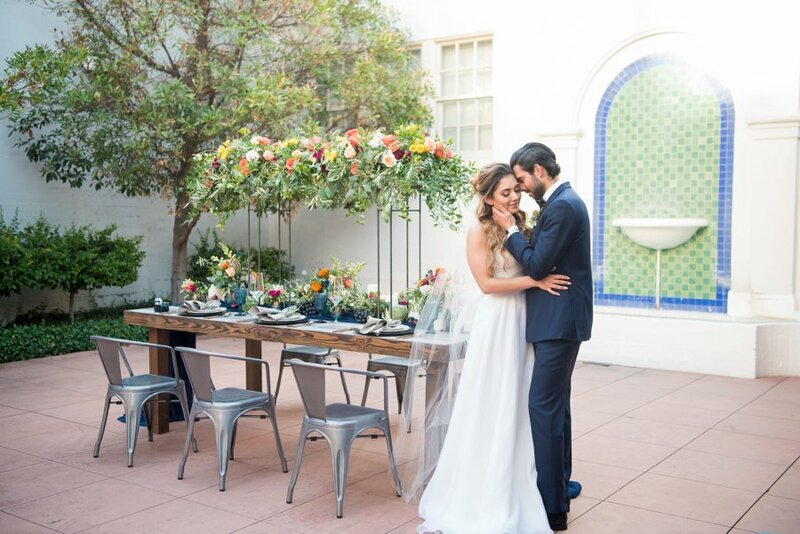 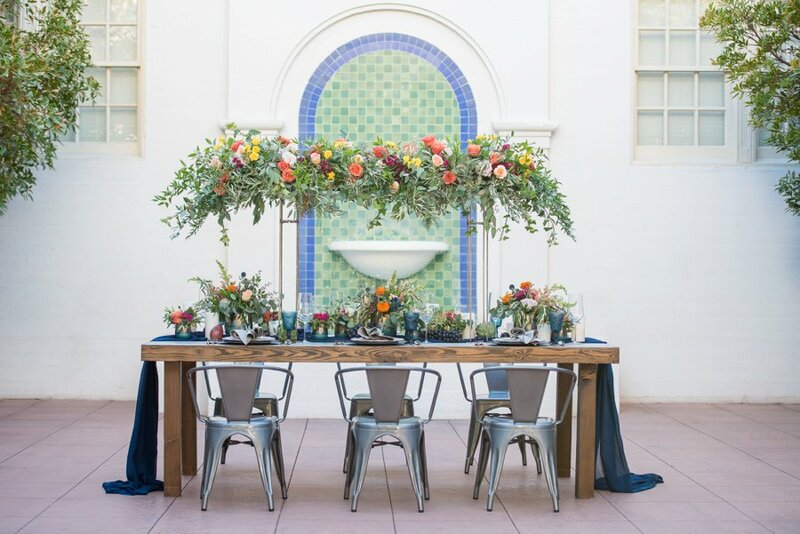 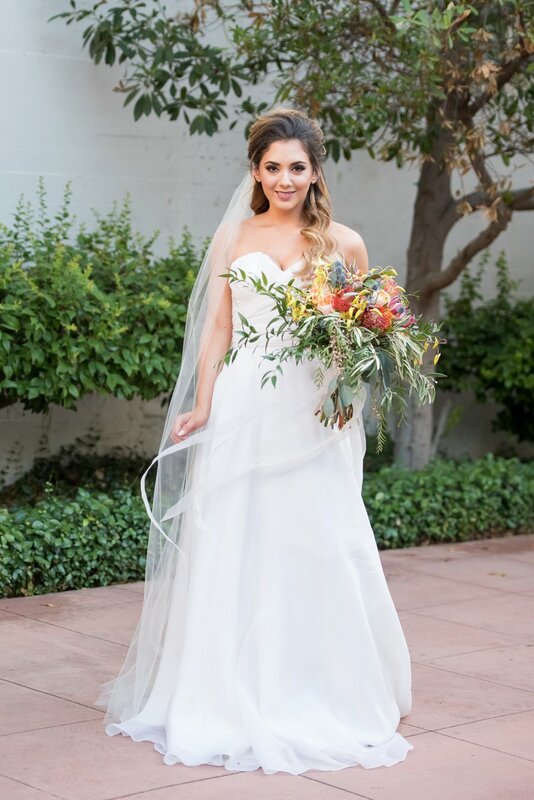 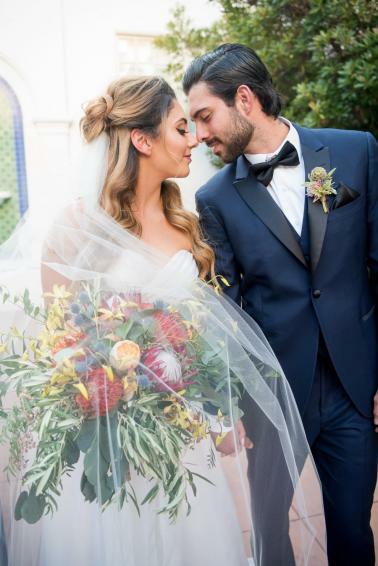 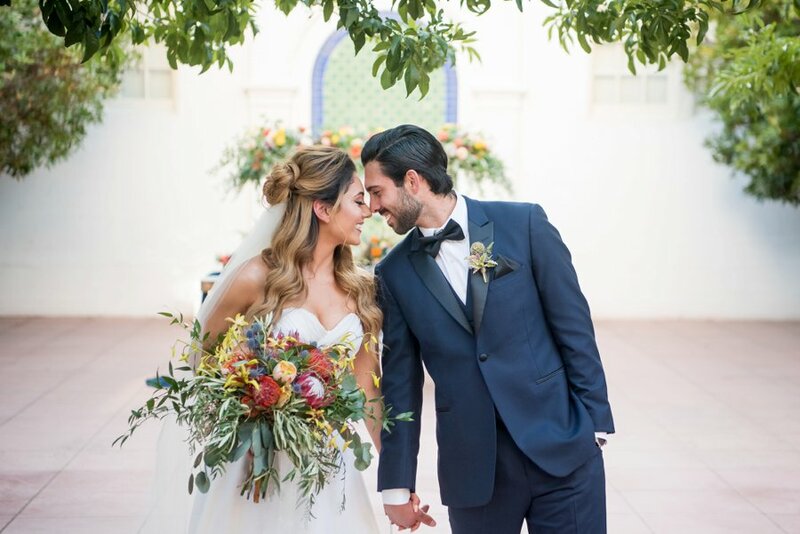 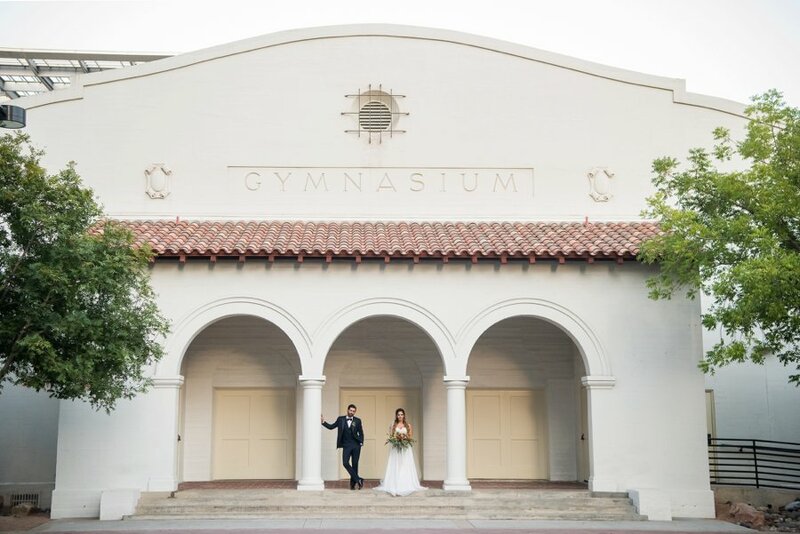 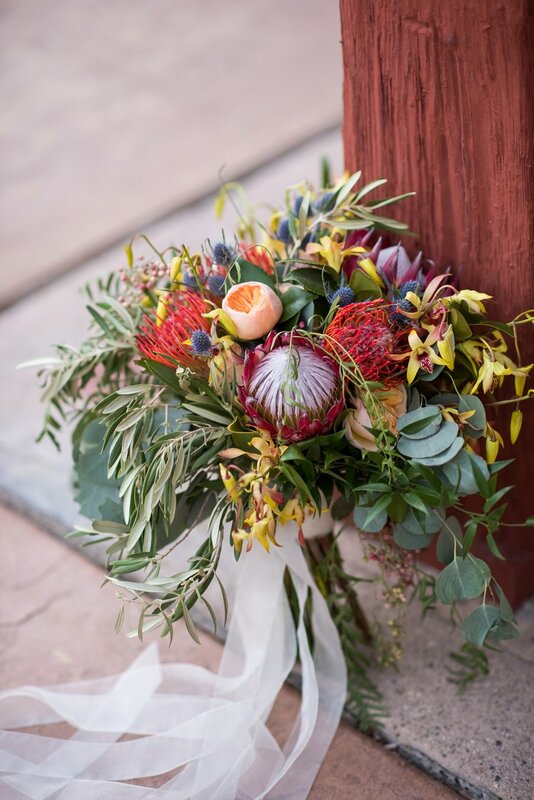 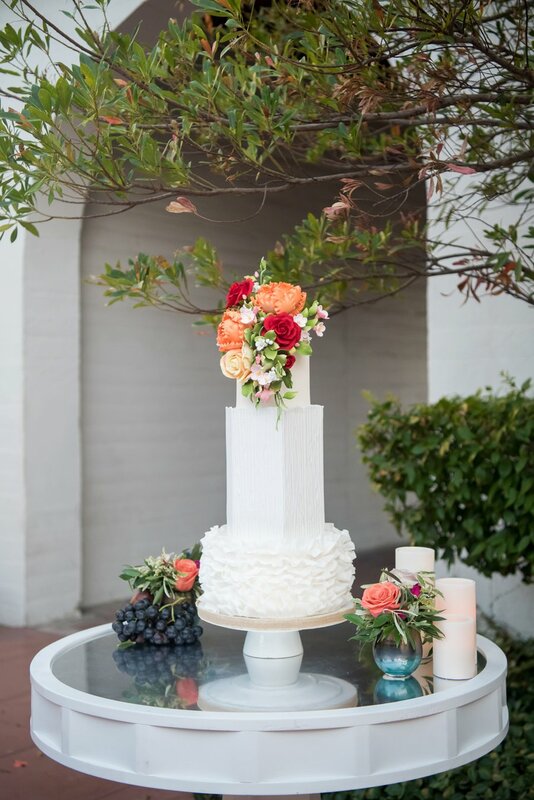 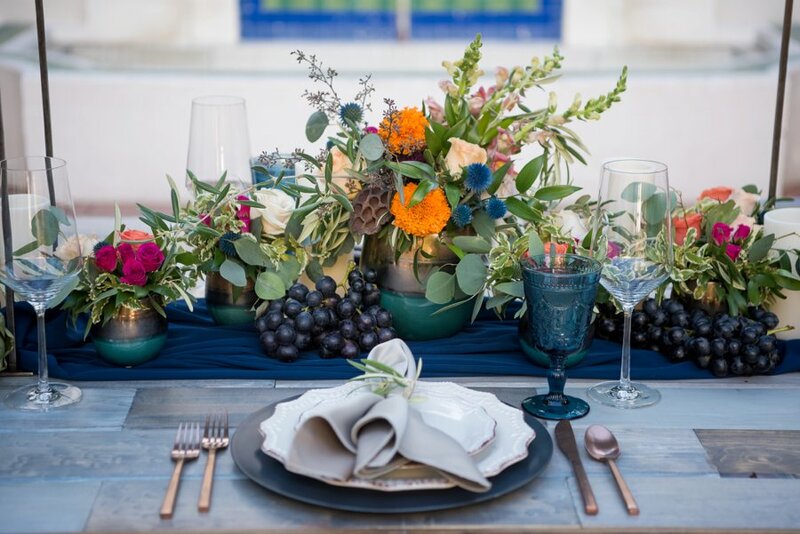 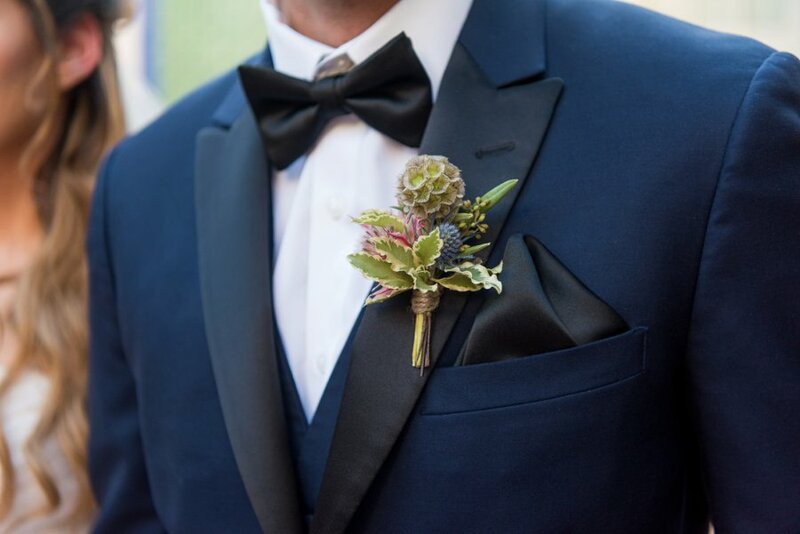 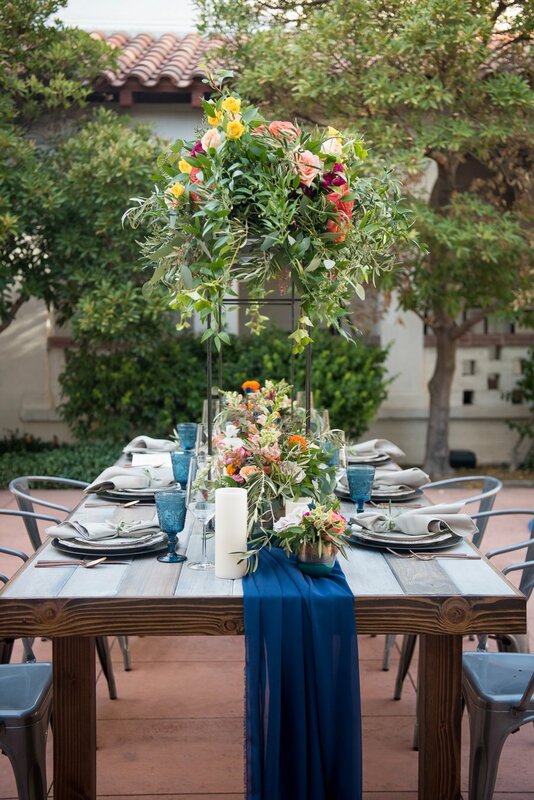 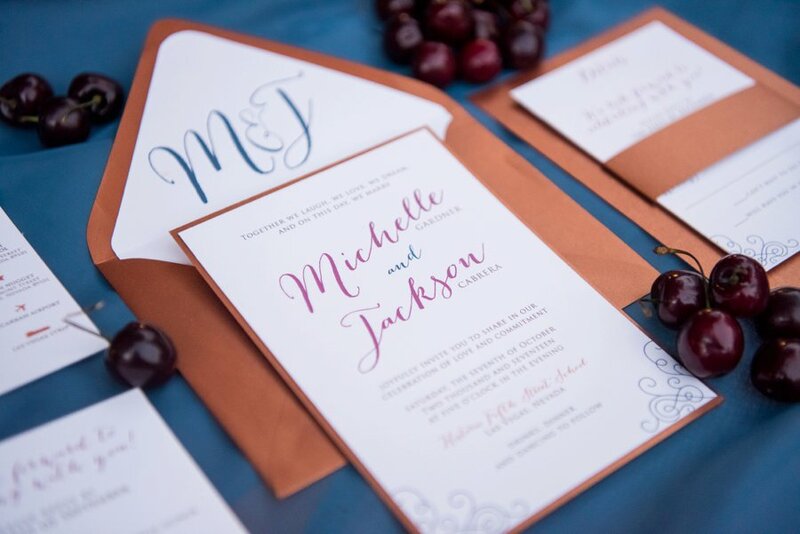 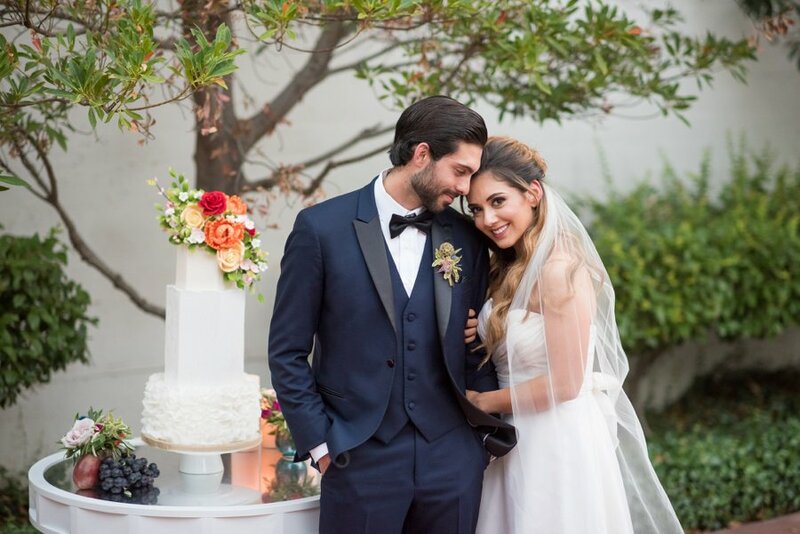 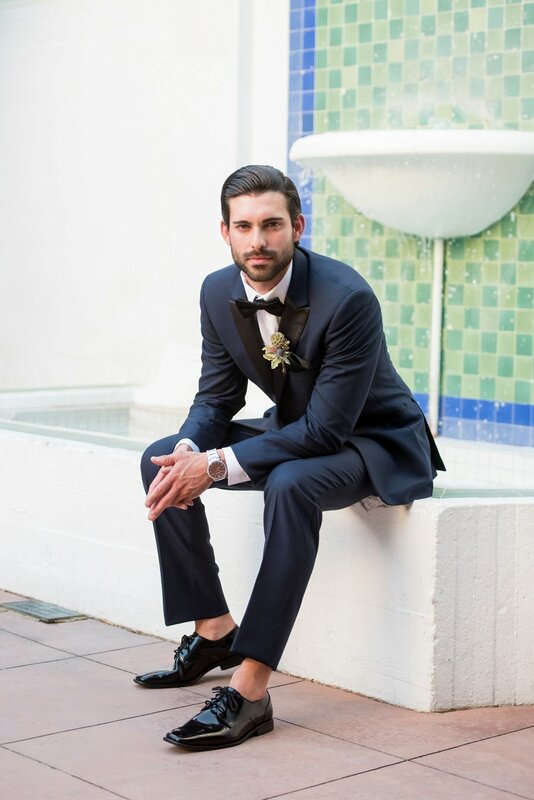 Set in the Historic Fifth Street School, a former school turned event venue in Las Vegas, Paulina Clute Events created a colorful orange wedding design with a bold palette of navy, rose gold, and pops of yellows, making for a fun and festive style, perfect as we lead into spring and summer weddings. 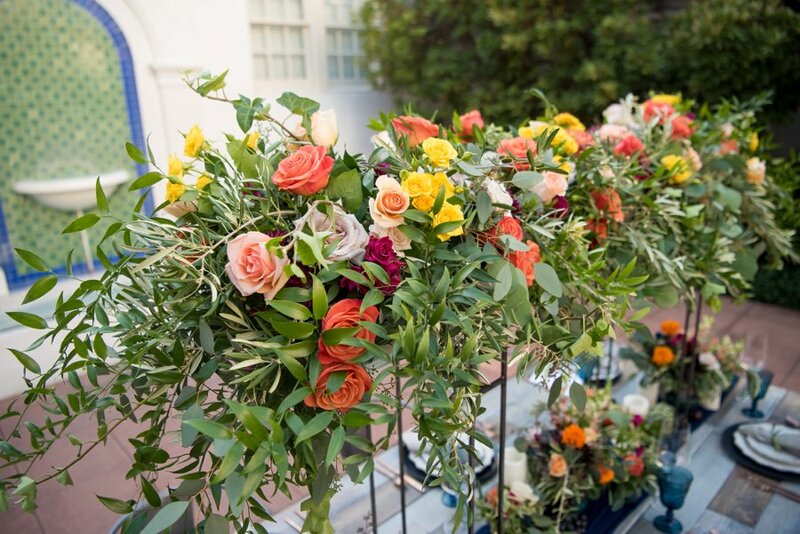 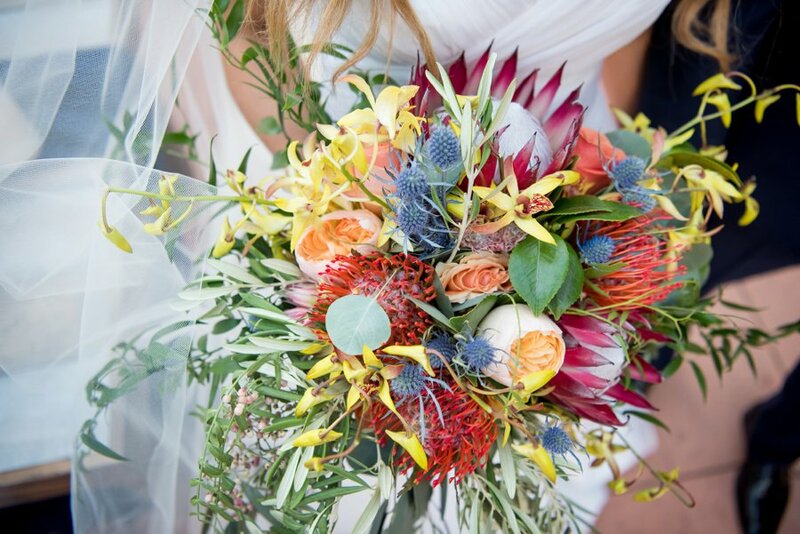 We absolutely love the canopy floral arrangements created by Weddings By Dzign. 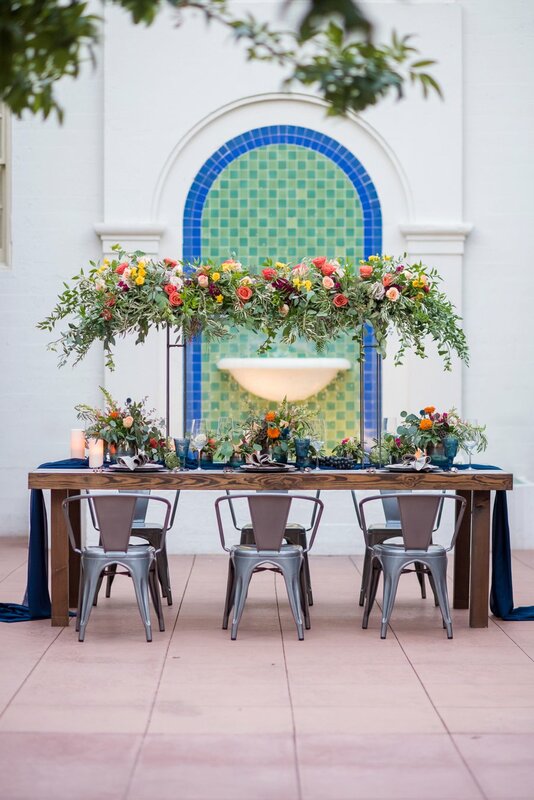 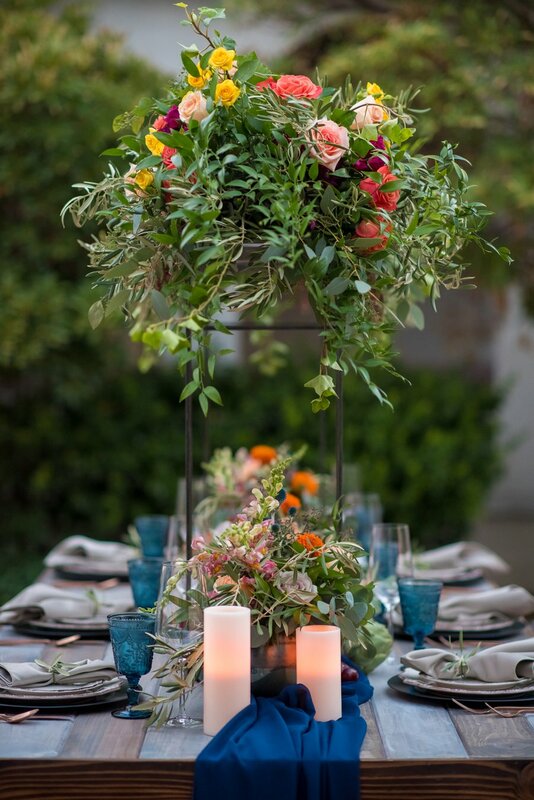 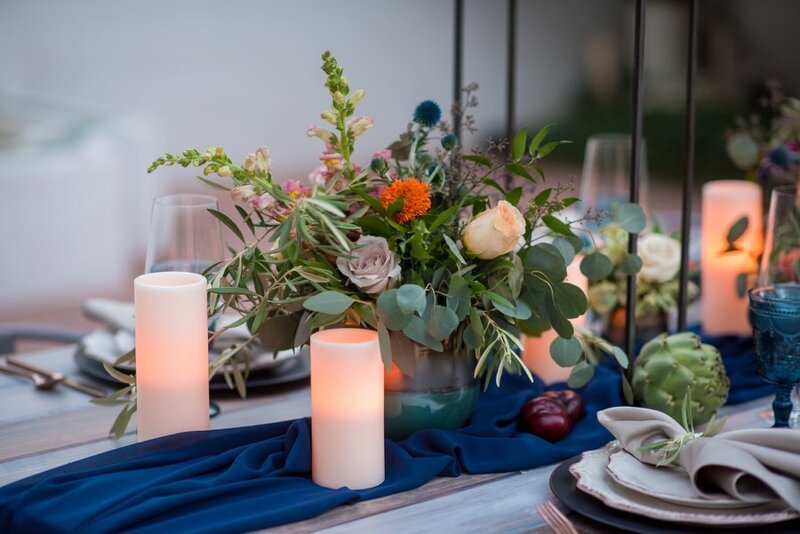 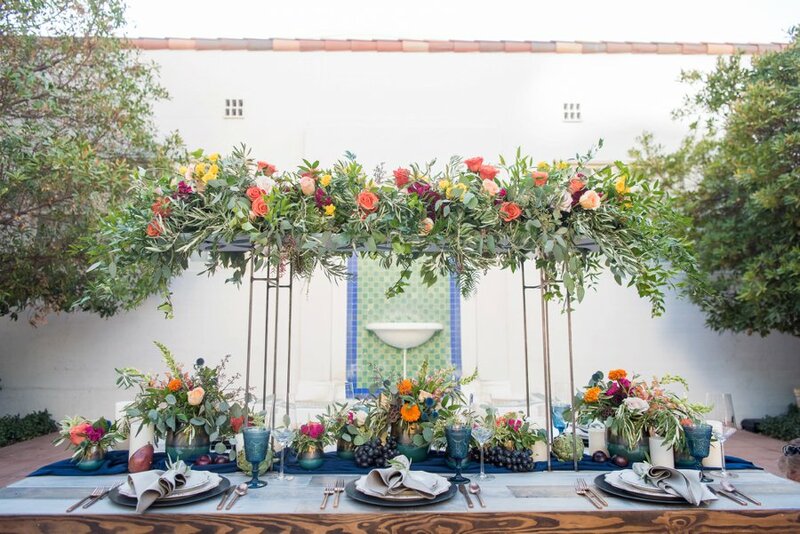 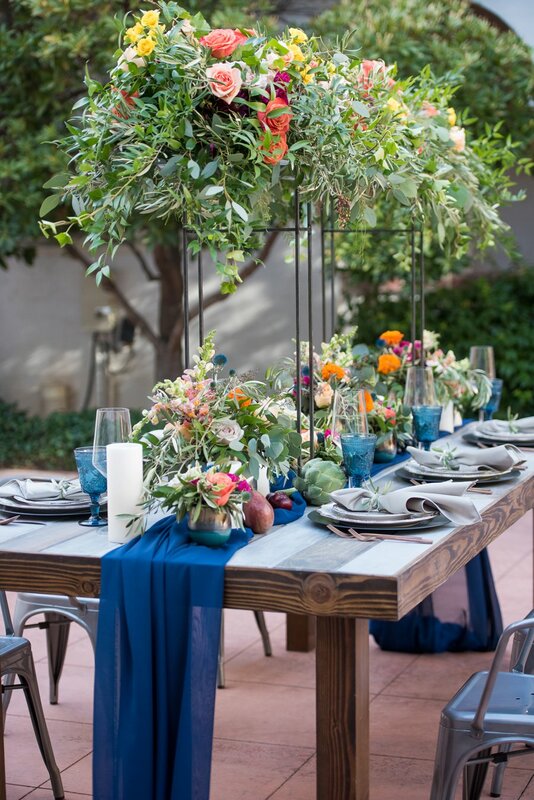 An arch of lush greenery and blooms sitting high above the table created a two level centerpiece design that allowed for the incorporation of fresh fruits, candles, and small floral arrangements, while still providing space for guests to enjoy their meal and conversation. 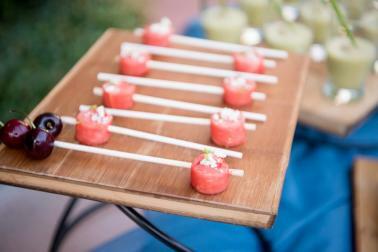 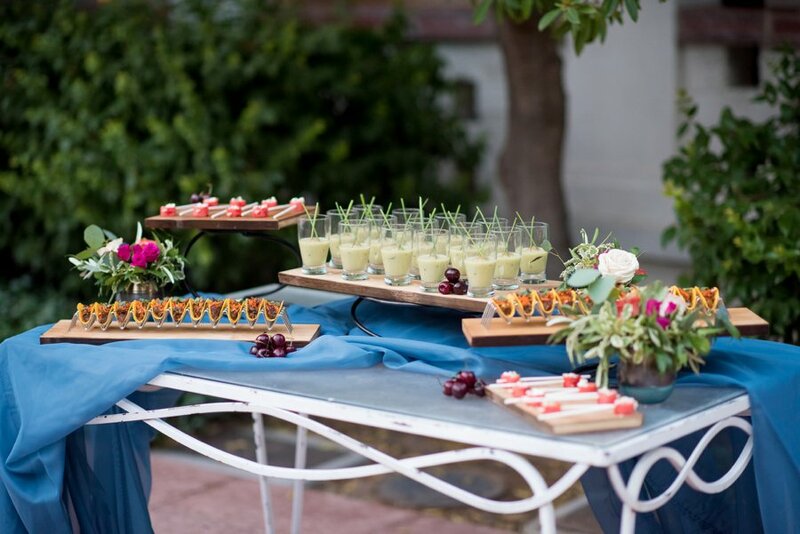 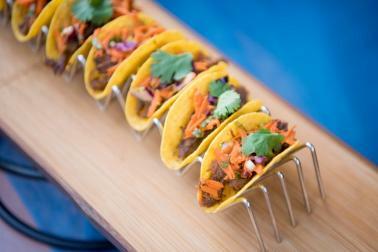 Masterpiece Cuisine also included a delectable looking spread that incorporated fresh and colorful cuisine that is the perfect complement for this design. 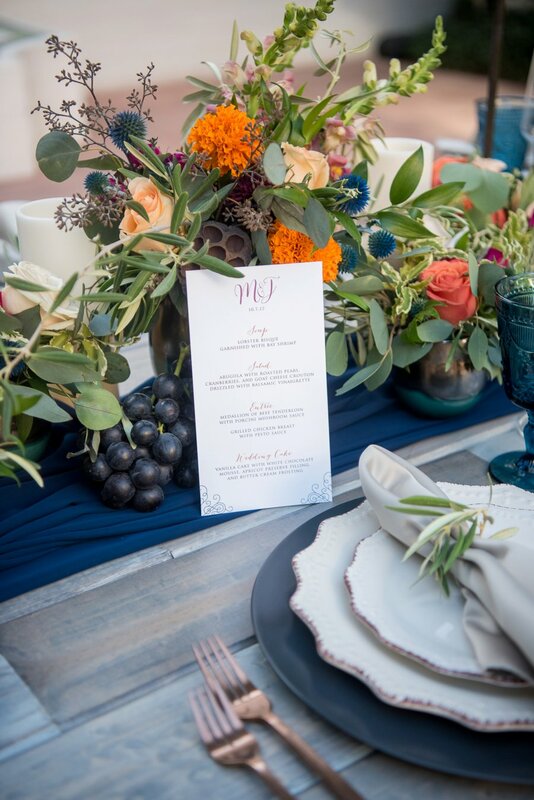 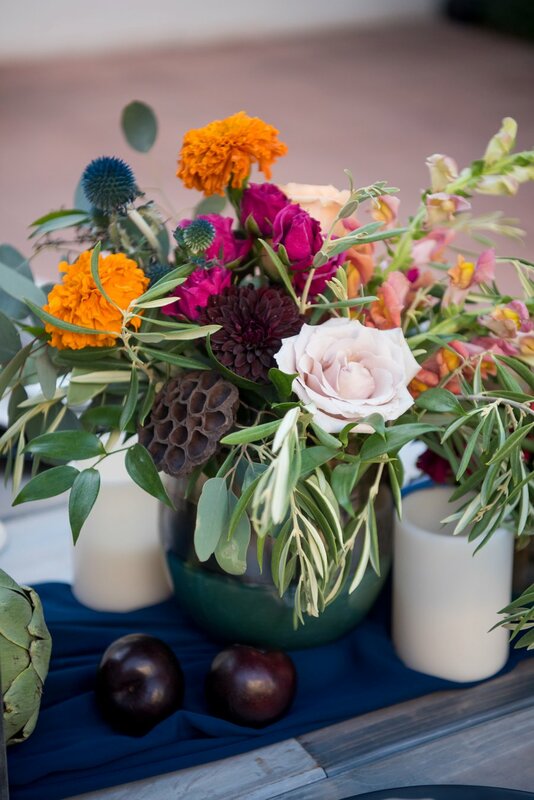 We definitely think you’re going to enjoy all of the colorful and festive details that KMH Photography captured, and make sure you tune into the video from Pure Light Creative as well! 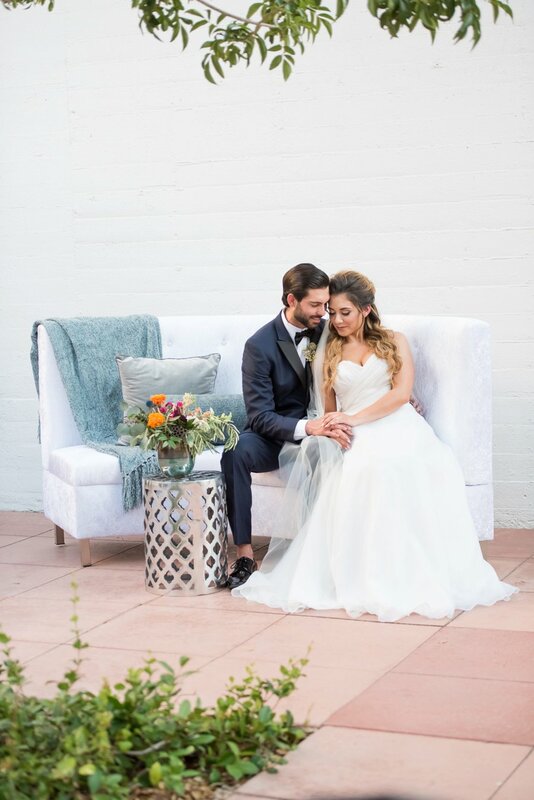 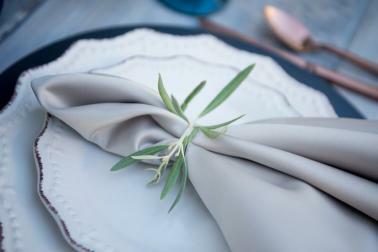 We’re thrilled to share this short film from Pure Light Creative that they captured for this wedding style. 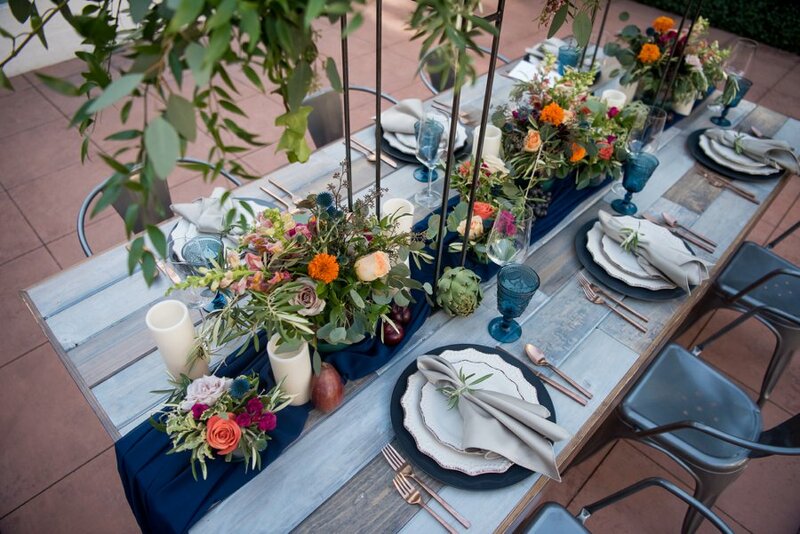 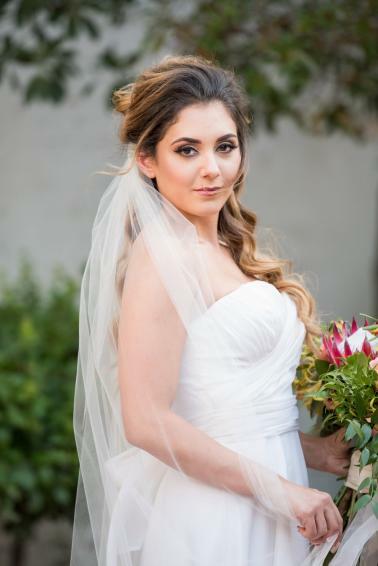 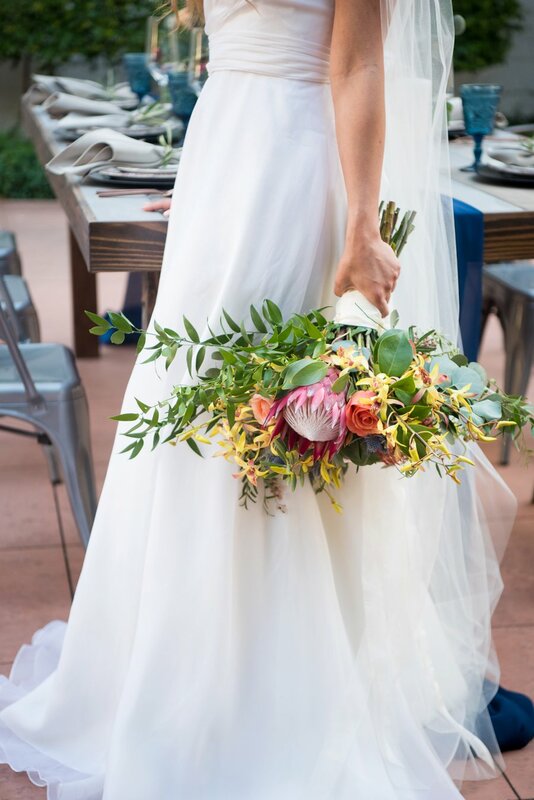 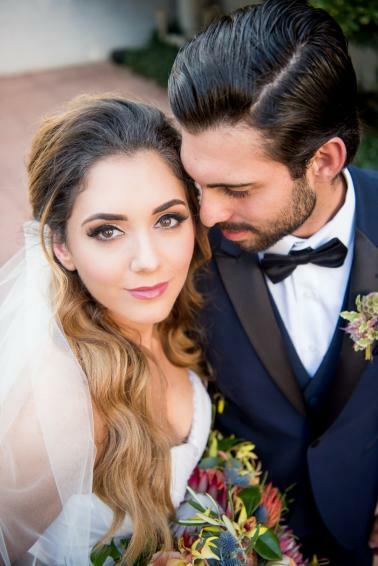 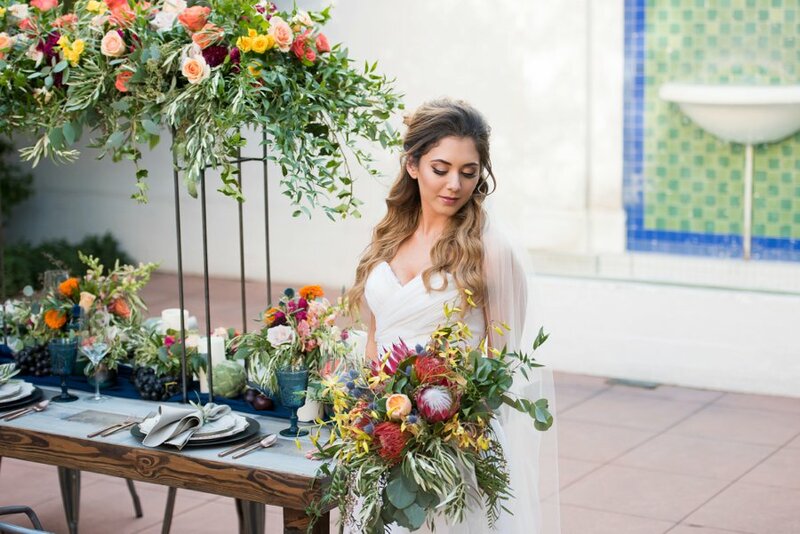 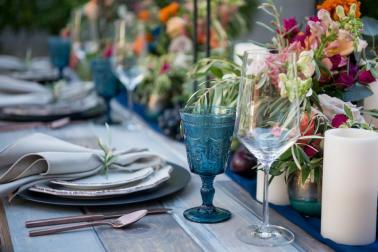 We are expecting to see more and more color exploding into wedding trends for the spring, and we love how this team created something so fun and unique for this look.